The 62-year-old first time MP from Nitish Kumar-led JD(U) had briefly worked as an adviser to the former Prime Minister Chandra Shekhar but went back to journalism after that government fell. A candidate of the ruling NDA, he was elected to the deputy chairman's post today securing 125 votes against 101 for Congress MP B K Hariprasad, who was a joint opposition candidate. 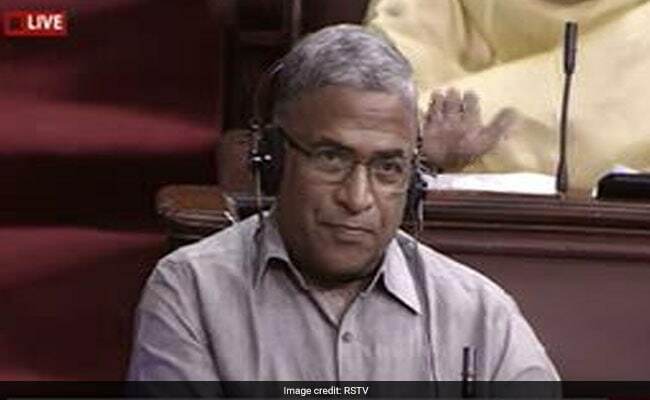 Born in Balia in Uttar Pradesh, Mr Harivansh's close aides say he was a meritorious student and went on to do M A in Economics and Diploma in Journalism from Banaras Hindu University. He comes from the same region where socialist leader and anti-Emergency crusader Jai Prakash Narayan was born. While he landed a government job as a bank officer, he chose to work as a journalist and rose to become the Chief Editor of Hindi daily Prabhat Khabar. He has authored and edited several books in Hindi, especially on Bihar and Jharkhand. His bio data on the Rajya Sabha website says he has also been honoured for his outstanding contribution to Hindi. Considered to be close to Bihar Chief Minister Nitish Kumar, Mr Harivansh was chosen as one of nominees of the party for the Upper House in 2014. That time, Mr Harivansh was candidate of a party whose allies included the RJD and the Congress.